When you’re as big as Google, you’re bound to create a few features that people are not going to end up using. This is because of the fact that Google operates by creating as many features as possible in an attempt to see if any of the features they are putting out there could potentially end up making the sort of splash that they need in order to capture the imagination of the users that they are trying to keep as faithful to them and their various platforms as they possibly can. Google is removing two of its most rarely used features. The first of these two features is one that you might not even know exists. 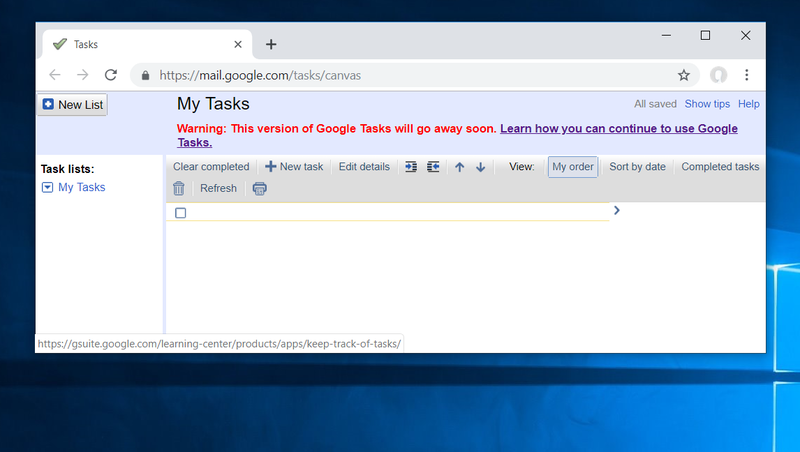 This is the older version of Google tasks, the one that has its own separate web interface. Google has now merged it with Gmail in order to make it more seamlessly blended into the suite of features that they provide people with. The older Google Tasks was not nearly as popular as the newer version that has come out, so it’s no surprise that Google will be dispensing with it as it moves on to greener pastures. The second feature that Google is going to get rid of is one that you have probably seen several times but have probably never used. This is the notifications button, the bell on the top right corner of pretty much every Google application and interface out there. "After March 7, 2019, notifications for Google web products will no longer be accessible from the navigation bar. ", updated Google on its Google Accounts help page. It’s fair to say that most people are probably not even going to realize that the button is gone because of the fact that barely anyone uses it anyway. The notifications that we get from Google are highly varied and a central source doesn’t make sense, especially now that Google+ has become a thing of the past.